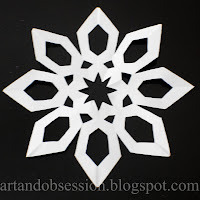 I don't know about you, but we spend many hours every Christmas season, making snowflakes. 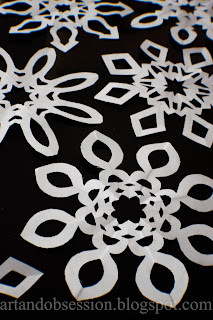 I'm talking finding-paper-scraps-in-the-carpet-all-season-long, many hours. I've also found one quick trick, that makes them look great every time. 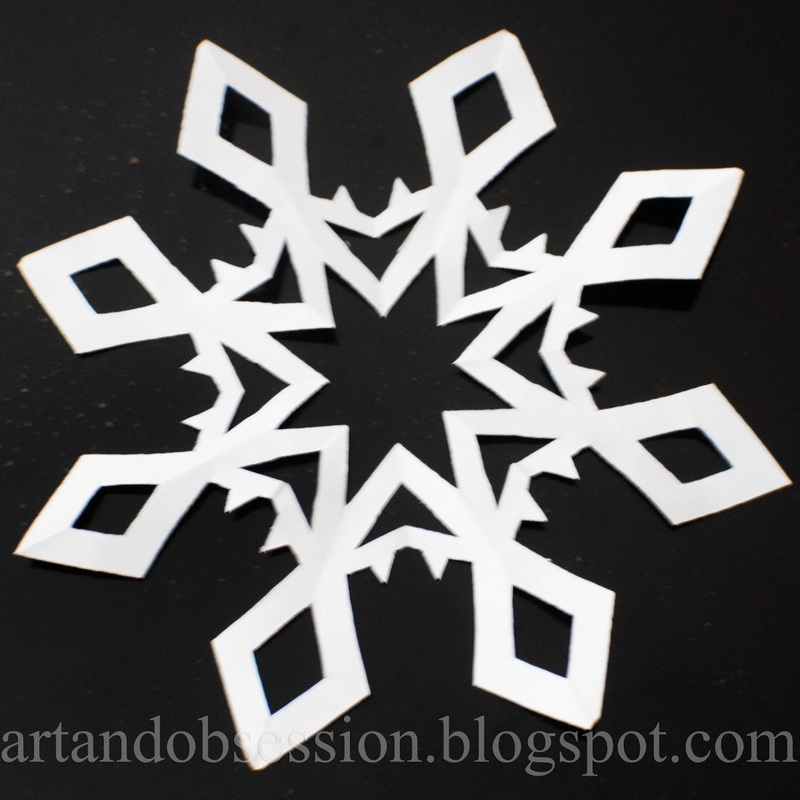 First, here's how you fold a basic 8 sided snowflake. 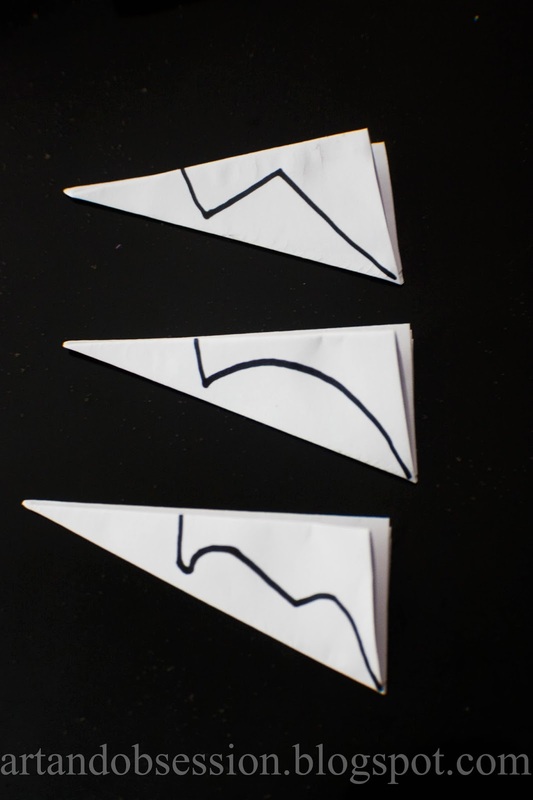 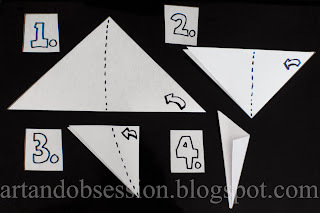 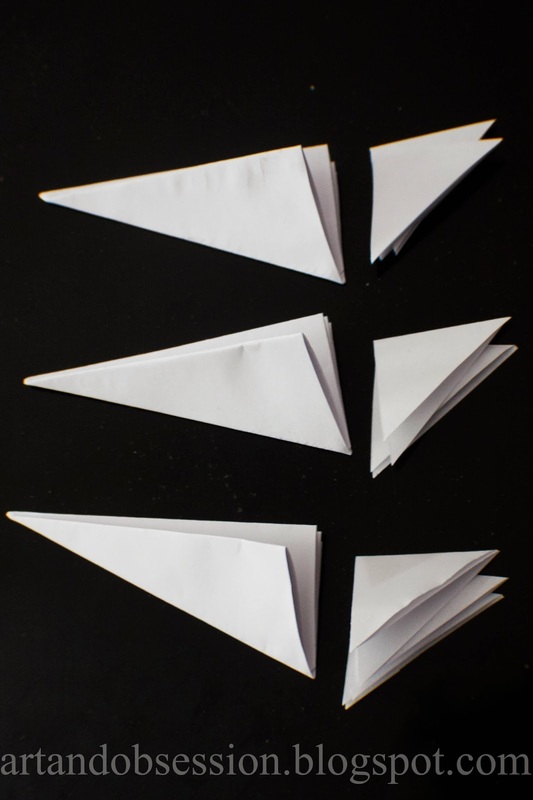 Start with a square piece of paper folded into a triangle, then follow the steps below. 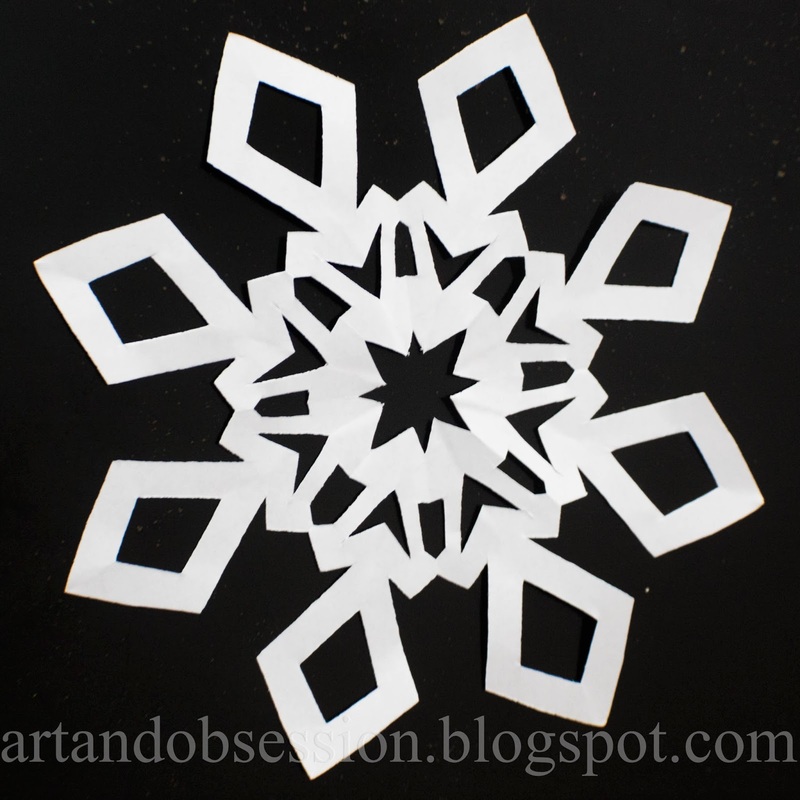 Cut away the extra paper. 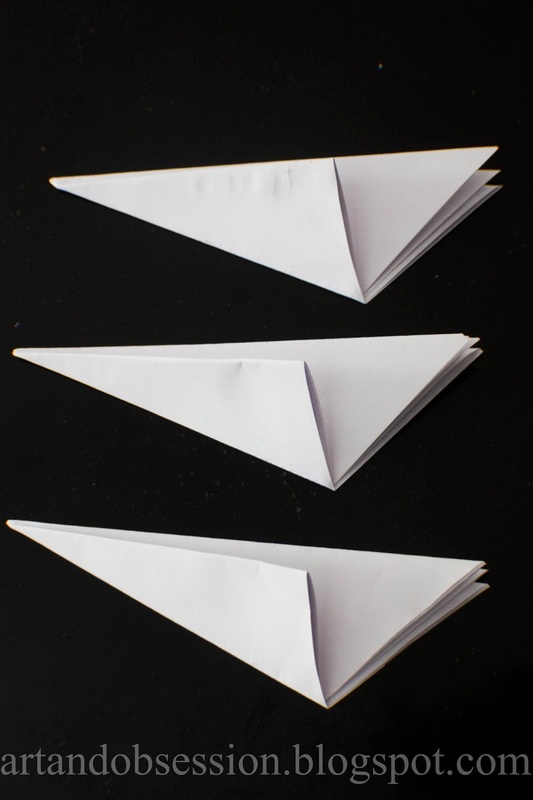 Now, here's the "trick". 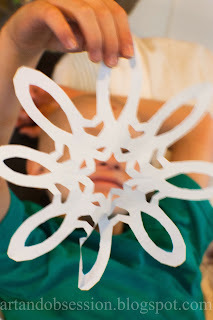 To start with, cut away one large section in the area pictured below. 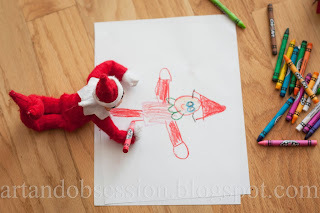 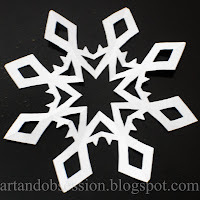 This will leave a nice bold shape on the outside of your snowflake. This cut should take up at least half of the length of the snowflake, and will be your one main cut, that defines the entire shape of the snowflake. Next, you can never go wrong with cutting away a smaller version of your first cut. 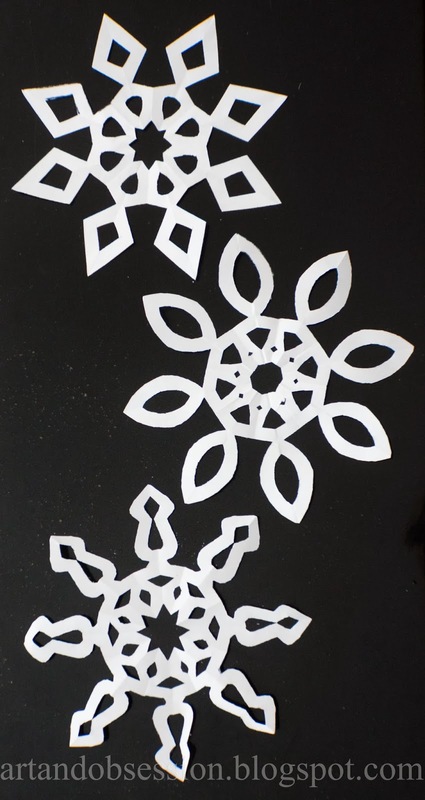 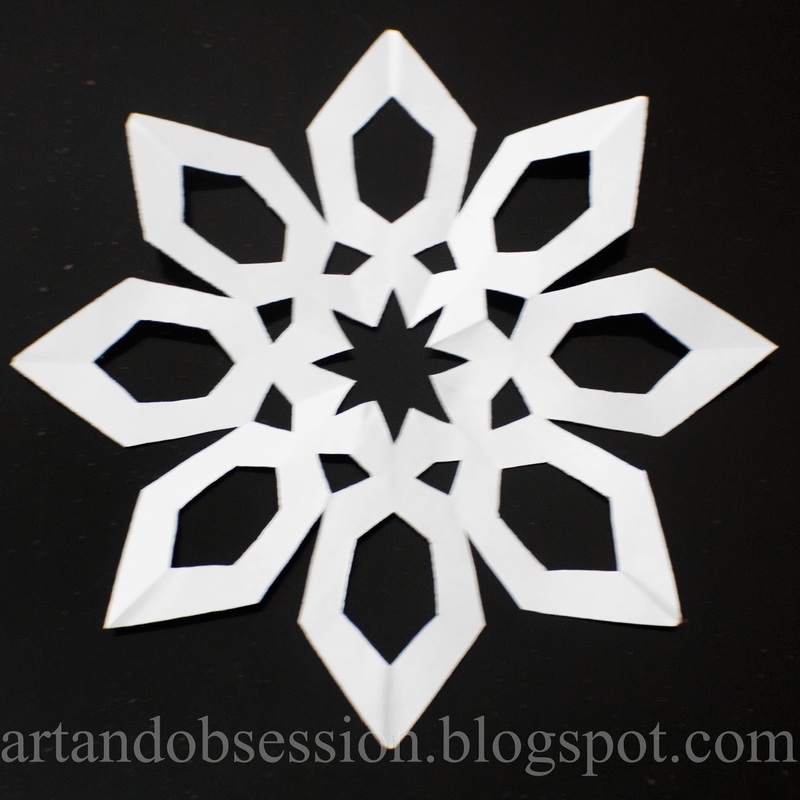 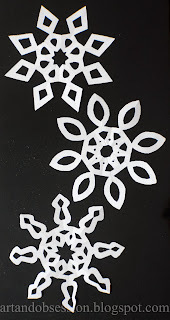 On the remaining portion (this will be the inner part of the snowflake), cut away any shapes and designs you want. 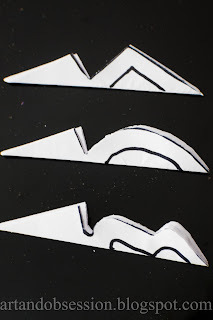 It really doesn't take too many cuts to make it look great. 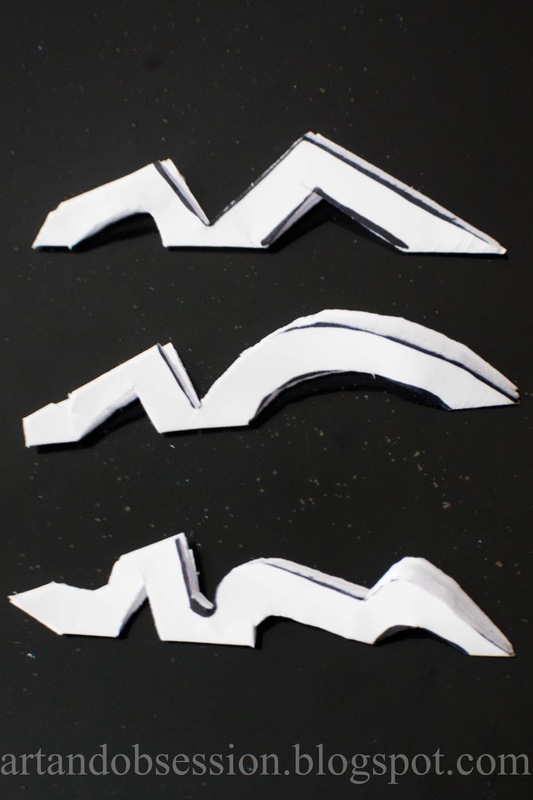 Here are the 3 I worked on for this example. 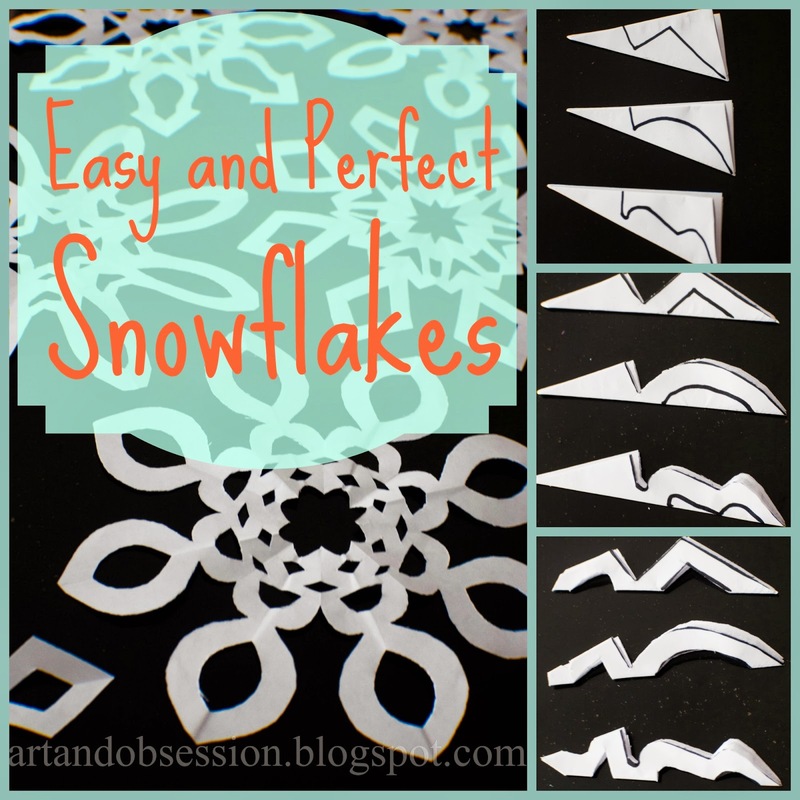 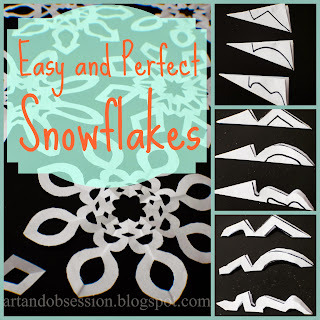 The bold shape on the outside makes the snowflakes look perfectly lovely.